Each weekend, Mashable creates a round-up of their favorite new and updated apps. Today, Mashable named the Wine4.Me app was one of the 5 Can’t Miss Apps. 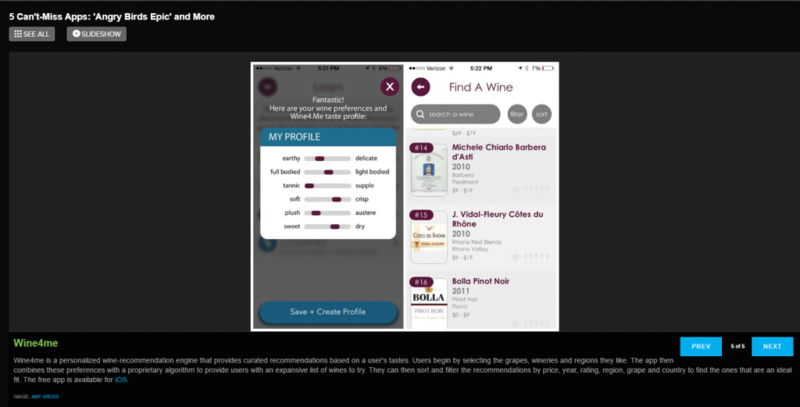 The Wine4.Me app is available for FREE in the App Store. Download it and see what Mashable is talking about!